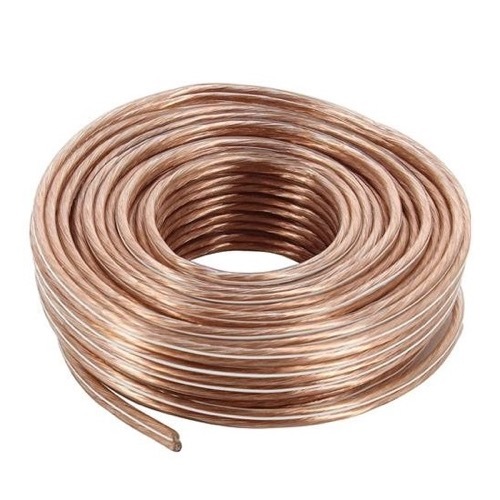 18 Gauge Audio Speaker Wire, 40 ft. 18 gauge wire with clear insulation, one silver conductor, one gold conductor. To connect speakers with high power audio equipment. Extend speaker distance from receiver/amplifier source. Good for up to 50 watts per speaker, clear, flexible jacket.